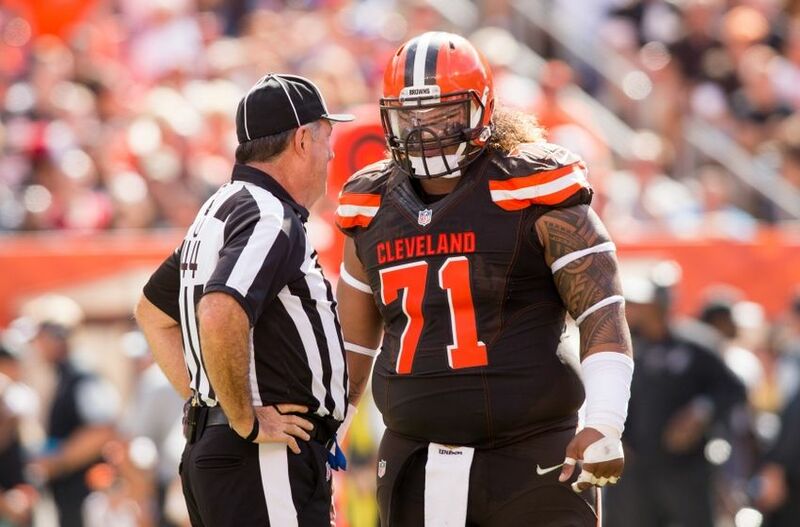 The Cleveland Browns drafted nose tackle Danny Shelton in the first-round of the 2015 NFL draft. While many people see him as a “bust”, Shelton has shown improvement according to head coach Hue Jackson. Jackson talked about Shelton after Friday’s debacle of a game against the Tampa Bay Buccaneers. The first question he was asked was if Shelton’s playing time has decreased. Nothing is going on with his playing time. We just gave him more playing time in situations – they didn’t have a goal line snap; they were still playing in their three-wide system. There are times in nickel that we play him, and there are times that we don’t so it’s not so much his playing time. I just think he was out there in certain situations with a group. We are evaluating and trying to see what is going to be the best fit for all of our guys. I think Danny did some good things and improved in some areas last night. Again, I will keep saying, as a football team, we have to get better across the board. We keep working at it. We keep working at our technique and our fundamentals. We keep understanding protections better and how people are trying to protect us so that we can have an opportunity to get home to the quarterback. Lastly, Jackson thinks this young defensive front is ready to rock and roll come week one. I think what is important now is that we really start putting our units together and let them go play together because I think it is so important that those guys play together, be together, be able to make calls. When we are talking about communication issues, that is where some of that comes from. You have a lot of young guys maybe playing at a time, and they hear something and don’t react very quickly. We have to make sure we take the opportunity for error out as much as we can. Now, I think it is about time we put units together and let them play and get these guys ready for the opener. If you didn’t already know Danny Shelton lost weight this offseason and changed his jersey number from 71 to 55. Former Browns center Alex Mack had worn the number for several years but signed a five-year contract with the Atlanta Falcons this offseason. You would hope that a new regime under Hue Jackson, a new jersey number, and some weight loss would help this young athlete attack opposing quarterbacks. Just getting more pressure this season will go a long way. We will just have to wait and see. If Hue Jackson is excited and happy about Shelton and this defensive front, then you should be too.